Matteo started to dance at age of five. His career has see him become the Italian Champion and finalist in National and International competitions. He was twice a finalist at the International Dance Championship in England and at the World Championship. He is very proud to be part of BURN THE FLOOR! Benji is Florida raised but resides in Los Angeles. Benji's athletic career started in the sport of Rhythmic Gymnastics but decided to share his brilliance with the discipline of Trampoline and Tumbling Gymnastics. He is a coach for the USA's Olympic Synchronized Swim Team and had the honor of performing with Pop Diva Mariah Carey. Benji has also performed with rock band "30 Seconds to Mars" as an acrobat and debuted in Kevin Hart's "The Real Husbands of Hollywood", "Good Morning America", the hit T.V series "Transparent", Fergie's "LA Love" music video and Guinness Book of World Records Unleashed. 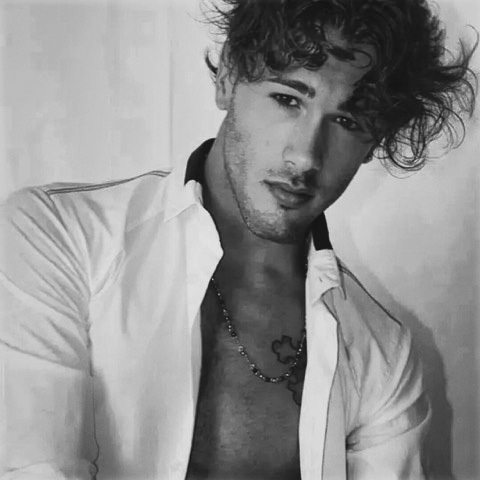 Benji was also one of the faces for 2014 MTV's VMA's and has had the chance to work as the principal aerialist on the Norwegian Jewel's Cruise ship rendition of Le Cirque Bijou and is now happy to be a member of Burn the Floor. Born in Kiev, Ukraine, Vitalii started to dance at the age of 8. From this moment, he knew that dancing was his main priority in life. Studying Latin American and Ballroom dance with many different coaches led him to become the Vice Champion of the Ukrainian Ten Dance Championship, winning many Ukrainian competitions. A highlight was participating in the UK Dance Championships and Blackpool Dance Festival. In 2013 Vitalii graduated from Choreographic University as both a coach and dancer and commenced his career as a performance artist in 2017. 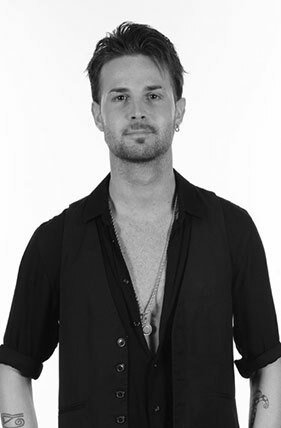 He is excited to be a part of the Burn the Floor team and looks forward to pushing his performances to new heights. 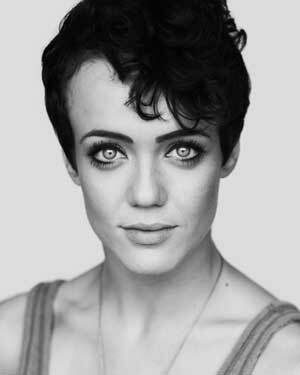 Jenna Grainger (Dancer) began dancing at three years old, studying ballet, jazz, lyrical and tap. She started dancing in her home city in New Jersey and later moved to Los Angeles, California, to study Ballroom and Latin dancing. 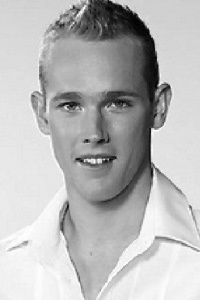 Born in Liverpool, England, Gary started Dancing at the age of ten, representing England in Junior Ballroom, Latin and Ten Dance World Championships all in the same year. He is British National Under 21 Champion, UK Closed Under 21 Champion, Celtic Classic, International, Italian Open and Dutch Open finalist. He has appeared in many television and stage productions some of which include Simply Ballroom (South Africa, Dubai and Theatre Royal, West End), Cheek to Cheek (West End), Latin Fever (West End). 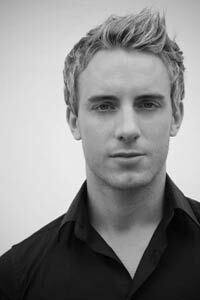 He joined BURN THE FLOOR in 2009 and was a cast member of the Broadway and West End productions. He has also toured China, USA, Japan, Netherlands and Australia. Gary is looking forward to another successful year with BURN THE FLOOR and would like to thank his friends and family for their continued support. Jorja is 23 years of age and began studying dance at the age of 3 in Cecchetti Ballet, Tap, Jazz, Contemporary & Musical Theatre and began Latin and ballroom dancing at age 15. She has competed nationally across Australia in all dance styles and is an Australian Latin finalist. Jorja has also appeared as a professional dancer on Dancing with the Stars Australia. On top of studying dance Jorja has recently completed a Bachelor of Journalism at the Swinburne University of Technology in Australia. 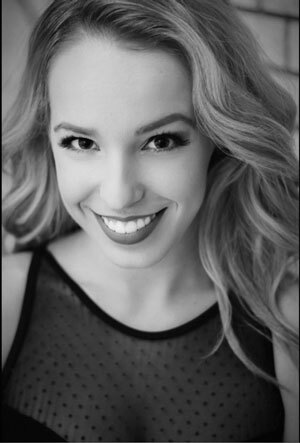 Jorja was apart of the Burn the Floor touring cast in 2011 and is thrilled to be back in 2014. Santo has been dancing Latin American for 13 years. He competed internationally and was an Australian Junior Youth Latin Champion and Victorian Open Champion. Loving the BURN THE FLOOR experience after joining the company July 2009. Santo would like thank his family and coaches for their guidance and support. Ash-Leigh began taking classes at 5 years old. Throughout her competing career Ash-Leigh was an Australian Ballroom dance and Latin Dance finalist and at age 13 she travelled overseas where she won both the Junior World Gold Cup and became Junior British Jive Champion. She was an Australian Junior Dance Champion, Australian 10 dance Champion and represented Australia at the World Amateur 10 Dance Championships. In 2009 Ash-Leigh was a finalist on the Australian reality TV show So You Think You can Dance?. Ashleigh then danced her way to the Grand Final of series 9 of Dancing With the Stars partnering with Australian TV host Matt White. Ash-Leigh joined BURN THE FLOOR in 2002. Faye Huddleston (Dancer) Danced since the tender age of three. Competed nationally in the UK until 2005 then turned to theatre. Credits include Simply Ballroom UK, and Las Vegas. Cheek to Cheek, Coliseum West End. Latin Fever Sadlers Wells, Peacock Theatre, West End. Cuban Groove, Austria 2009. Faye is no stranger to appearing on television, having danced on GMTV and represented QDOS on the nationwide broadcast of the MBA Telethon hosted by Jerry Lewis live from Las Vegas. Faye has also given her time to several charity events at home such as SCOPE and CARE. Looking forward to joining the cast of BURN THE FLOOR in Australia and the USA. Larisa started her dance career as a Ballroom and Latin dancer at the age of 6 in Moldova, Chisinau. She grew up studying in the Theatrical Lyceum and was surrounded by art, studying music and dance. She has represented Moldova in the world “Ten Dance Championships” since the age of 15, moving to Athens representing Greece for 5 years on the World stage. Larisa is very excited to join the team of Burn the Floor. Dianne began ballroom dancing at the age of 4. She has been an Australian State, National, and International finalist in both Latin American and Ballroom styles. Recently her major titles have included Western Australian Open Ballroom Champion and runner-up in the Australian Championships in 2010. On the international stage, Dianne has been a finalist in the Singapore Millennium Championships. Dianne has also achieved success in the popular television series So You Think You Can Dance in Australia. Dianne joined BURN THE FLOOR in the USA January 2011. Born in Perth, Western Australia, Jemma started ballroom dancing at the age of 6. Competing over 10 years led to successful results including undefeated State Champion, Three-time Australian Champion, two-time South Pacific Champion, National Champion and winning the right to represent Australia in the World Championships. In 2008 Jemma was a top 10 Finalist on the hit show So You Think You Can Dance Australia, Season One which then went onto touring around Australia, teaching many workshops and doing guest performances at special events. 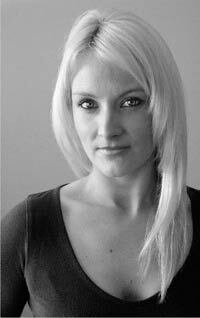 Jemma joined BURN THE FLOOR in 2009 and so far has toured to China, USA, Netherlands, Australia, Holland, Asia, South Africa and the UK. Major highlight was performing on the West End in London 2013. 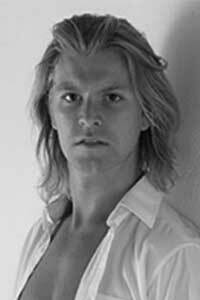 Stephen Vincent started dancing at 6 years of age with Ballroom and Latin. 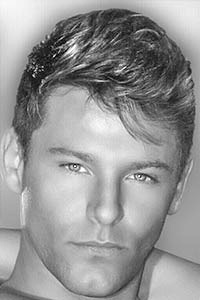 At the age of 16 he won the title of UK Latin Champion and represented the UK internationally at the world championships.Stephen studied dance at Italia Conti in London. Theatre credits include Latin Fever (West End), Simply Ballroom (UK, south Africa & Dubai), Cheek to Cheek (West End, London), BURN THE FLOOR 2006 (Australia, China, and USA) and BURN THE FLOOR Australia 2010. 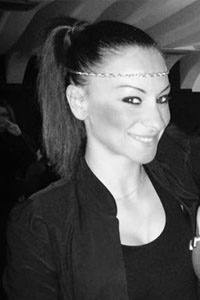 Valentina Vittorelli is a current Italian dance champion. She studied contemporary and classical ballet before setting her sights on Latin American. In 2011 she participated in Italy’s Channel 5 television production to celebrate the New Year, then joined the cast of Burn the Floor in 2012 having being invited to audition during the European Burn the Floor tour in 2011. 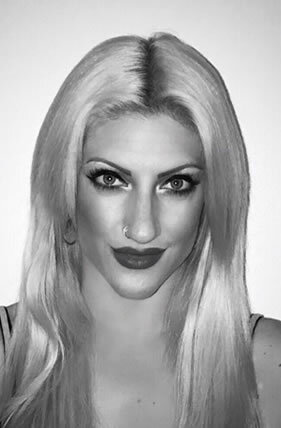 As part of the cast, she has toured throughout the United States and Asia as well as performing in Tampa, Bush Gardens and is now working on the beautiful ship Norwegian Breakaway representing Burn the Floor. Born in Peru into a musical family, Giorgio’s stage debut was with his fathers band playing the Cajon. At the age of 13, he migrated to Australia and was introduced to traditional rythms such as Sayas, Tinkus, Waynos and Moreandas. He went on to learn every aspect of Latin and Jazz percussion and performed with reknown latin band ‘Mi Tierra’ for 12 years. During this time he also studied at the Australian National University graduating with a Bachelor of Music in 2005. He has worked with many respected musicians and bands in Australia, Canada and the USA and has toured as the support act for International touring artists Black Eyed Peas and De La Soul. 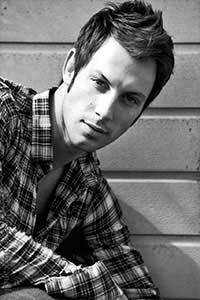 Giorgio has been touring the World as Burn the Floor lead percussionist for several years. A graduate from the Australian Institute of Music, with a Bachelor of Music, Alysa has made appearances on well known television shows such as So You Think You Can Dance, X Factor and the Australian National Rugby League Grand Final, playing alongside Ricky Martin. Her stage career has included performing with Tap Dogs (Australian Tour) and her Burn The Floor debut on the ‘Getaway’ Norwegian Cruise Line. When not traveling and performing, Alysa spends her time passing on her knowledge of rhythm and groove to her many students. She performs regularly with various well known artists such as 2012 X Factor Australia top 12 finalist, Angel Tupai, and 2004 Australian Idol winner, Casey Donovan and has performed at other well-known venues including ‘The Basement’, ‘Opera Bar’, ‘Sydney Town Hall’ and ‘Tall Ships’ in Sydney, Australia. Steven started dancing at the age of 10. He is runner up in all major Australian 10 dance Championships and finalist in the Singapore Closed Amateur and Hong Kong Open Championships in Latin and Ballroom. He has worked on TV, film and stage productions such as Dirty Dancing (Germany), Strictly Dancing (Australia) and Baz Luhrmann’s film “Australia.” Steven would like to thank his family and coaches for all their support. Erika is a four time Italian Latin Champion and a finalist in the European Cup and World Cup. She is also a former British Open Junior Latin Champion. Kylee was born in Pretoria, South Africa, and started dancing at the age of 8. She has experience in freestyle, slow dance, hip-hop and contemporary but specialised in Latin. She represented South Africa in Italy at the Junior World championships. Kylee is the undefeated WDC South African under 21 Latin champion. In 2011 she won the under 21 Dutch Open Latin Championship and the under 21 WDC World Latin Championships. The highlight of Kylee’s dancing was winning the under 21 Open British Latin Championship (Blackpool) title in 2012. Dancing is her passion and she joined Burn the Floor in 2013. Zoe is originally from Melbourne Australia, and is a Professional competitor with over 15 years experience to her name. Having competed both nationally and internationally, Zoe has placed in the top three professional dancers in Australia over the last ten consecutive years and has trained with some of the most highly regarded dancers in the world. As a relatively new Burn the Floor dancer, Zoe hopes to continue developing her unique style as both dancer and performer. 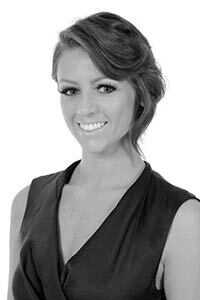 Lauren has been dancing since the age of 2 and has competed in Ballroom and Latin dance since the age of 7. Early success led to winning three major International competitions and to maintaining the title of British Closed Champion for 3 years. Lauren’s competitive career continued with other highlights including winning both the prestigious United Kingdom and the British Closed Under 21 Ballroom, and Latin titles, along with various TV and theatre appearances. She has represented England in international 10 dance competitions. Lauren is a Broadcast Journalism graduate, but her first love is dancing. This is Lauren’s first year with Burn The Floor. 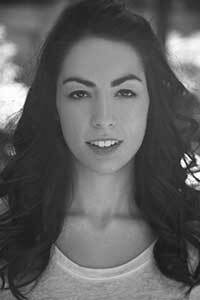 Megan started dancing in Perth, Australia at the age of 5 taking classes in ballet, jazz, tap and drama. Megan discovered her passion for Latin and ballroom dance when she began her studies at age 11 and has spent her career traveling the world competing and taking lessons with some of the worlds most renowned and respected dancers and teachers. While competing she was ranked as one of Australia’s highest placing Australian’s at all major national and international competitions and was selected as her country’s representative to the WDSF World Amateur Latin Championships in New York and Slovenia. Megan has been successful in winning numerous titles both nationally and internationally and has made guest appearances on the popular television series ‘Dancing With The Stars’ Megan joined Burn the Foor in 2010. Ben Hardwick is from England and started dancing Freestyle at age 10. He progressed to Latin aged 14 and won British National and UK Closed Under 21 titles when he was 18. Ben featured in a music video and showcases before joining the cast of ‘Simply Ballroom’ in 2005 for 3 years, this included UK and US tours, plus a 6 month residency in Las Vegas. 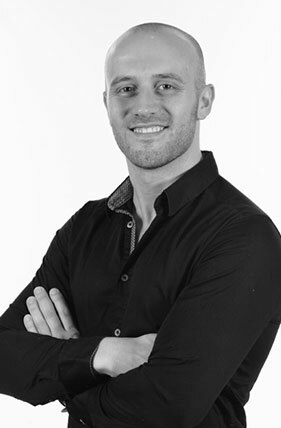 During and after that contract he continued to compete achieving many credible results including top 8 in Amateur Latin Rising Stars at the Blackpool Open Dance Festival and ranked 3rd in Britain. He represented his country at International events such as the European and World Championships many times between 2005-11. In January 2012 he joined the cast of ‘Burn the Floor’ in Busch Gardens, Florida. Ben would like to thank his family and friends for their continued support of his dancing journey. 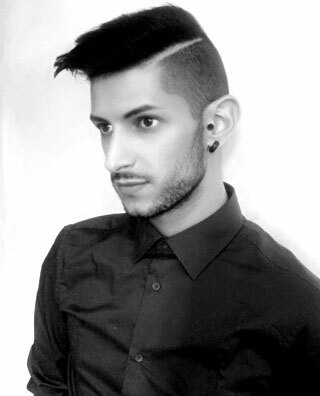 Pasquale originates from Italy but has resided in London, studying dance, for the last two years. A specialist in the Latin genre, Pasquale has featured in many finals of international competitions and represented Italy at The World Championships reaching the semi-final stage. Toby Bender is a multi-instrumental percussionist, drummer and vocalist. His career has developed from relatively unorthodox beginnings. Growing up in a house surrounded by Jewish theatre and the ever present sounds of Steely Dan & Joe Satriani, it was never a question of what to do but rather which instrument to do it with. Originally playing the saxophone, then trumpet, followed by another five melodic instruments, it took years for him to find his voice as a percussionist; taking up the djembe at the age of 11. By the next year his formal studies on drum kit had commenced and in the years that followed his arsenal grew with the addition of many Afro-Cuban, Afro-Peruvian & Brazilian percussion instruments. 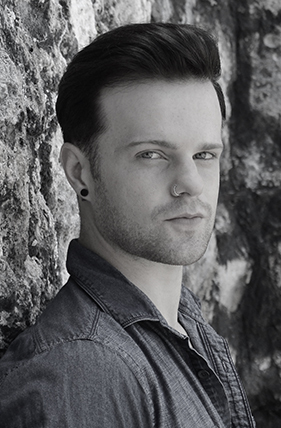 Toby first began singing in primary school having been chosen to be a part of the schools vocal group. 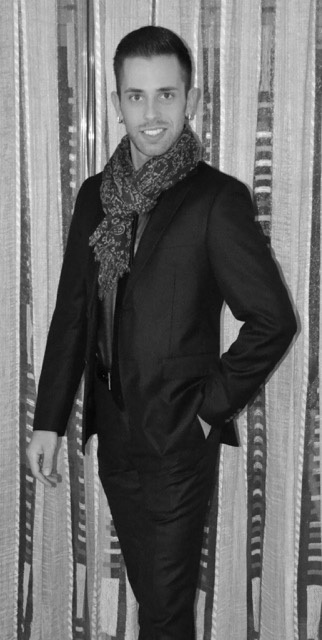 After successfully auditioning, Toby was granted a scholarship as a vocalist in the music program at Wesley College. He studied for three years at Wesley before moving to Sandringham College where he spent the next three years learning drums under the guidance of Peter Blick. 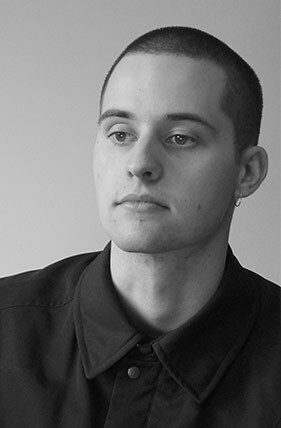 Having completed his high school studies, Toby spent one year at The Victorian College of the Arts, studying jazz drums & percussion before deciding to leave and begin a self tailored approach to study; finding his own teachers and travelling throughout Australia in search of inspiration and education. Toby has had the privilege of studying under some of his most idolized and favorite drummers & percussionists including Giorgio Rojas (Burn The Floor), Karl Perazzo (Santana) & Fausto Cuevas (Stevie Wonder, J-LO). He has won awards for his musical skills, performed at some of the nations most reputable venues and is well regarded for his versatility. Gustavo studied with world renown Latin coach Carolyn Smith for 10 years. His competitive dance career showed many impressive results, such as Vice Champion in the World Youth Latin Championship in China 2009, finalist in the International Under 21 Latin Championship in London and finalist of the German Open Rising Stars Latin Championship. In 2013 Gustavo decided to stop his pursuit of competitive dancing, and start new career on the stage with “Burn the Floor”. Nina began to dance when she was four years old. During her 14 years dance career she was 3 times National Champion in both Standard and Latin American and over all ten dances, achieved fifth place in the World Championship, Finalist at the most prestigious dance competition, The British Open in Blackpool and was a finalist of all other major international competitions. After finishing her competitive career she was invited to feature on Dancing With the Stars in Slovenia. In 2010 she opened her dance school. In the same year, taking part in the show Satisfaction On A Dance Floor, where her dance partner was Aljaž Škorjanec. 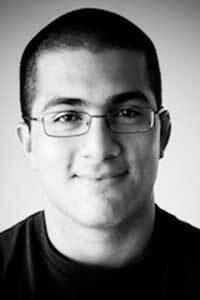 Arduino is a professional dancer and choreographer in latin american, show dance, modern and contemporary dance. He is also the Latin American Italian Champion and a former finalist in the Junior British Open in Blackpool. Other achievements include 4th place at the Europen Championship Freestyle Latin and a finalist in show dance at the World Cup in Germany. At 27, Arduino has already trod the stage of the San Carlo in Naples, the Fenice in Venice and has danced in Hong Kong, the Royal Albert Hall in London, Paris, Kiev and Vienna. Theatre credits include “Saturday Night Fever “With the Masters of Dancing with the Stars Italia” and Legally Blonde onNorwegian Cruise Lines Miami. Arduino has also had television successes and has starred in, “Il Bagaglino” on Channel 5, “Domenica In” and “Amici of Maria De Filippi” where he was featured as a Professional Dancer in 2010. In 2014, Arduino joined the cast of Burn the Floor. 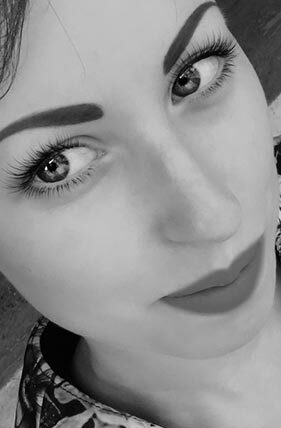 Victoria was born in Belfast, Northern Ireland and began dancing from an early age at her local dance school, arriving in Liverpool for regular lessons at the age of 9. She competed for 22 years winning the Junior International Latin Championships, British 10 Dance Championships and becoming a finalist in all major Championships, Ballroom and Latin in England and abroad. Victoria also won the International and UK Amateur and Professional Latin Rising Stars Championships. Retiring from competition to pursue a career in television and stage her credits include, the Italian musical “Tutto Questo Danzando” and television program “Ballando con le Stelle” 2007-2012 (Italy’s Strictly Come Dancing/Dancing With The Stars). Simone started Latin American dancing at the early age of 7 and has been a runner-up at the Italian Dance Championships. As an International competitor he had the pleasure to represent Italy and Slovakia in many major events worldwide. He his very excited to join BURN THE FLOOR . Manuel started dancing in Rome at the age of eight. Watching his parents dancing, the passion for Latin dance became part of his life and has spent his career traveling the world competing and taking lessons with the worlds most renowned and respected dancers and teachers. In 2004 he won the bronze medal in the Italian Youth Championship. In 2008 Manuel moved to Denmark where he became a finalist in his first competition there. In 2009-2010 he gained the opportunity to work in America with a dance company performing in shows and musicals as a principal performer. Manuel then returned to Italy and commenced his professional career receiving the bronze medal in the Spanish Championships and placing fifth in the “Bassano Open” in Italy. He has also appeared on Television dance shows such as “Miss Italia” and “Uno Mattina In Famiglia”. 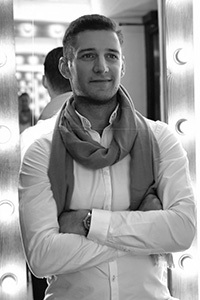 Igor started his dance career as a Ballroom & Latin dancer at the age of eight in Moldova. As an International competitor he specialised in the Latin style and had the pleasure of representing Denmark and Greece in major championships worldwide. Igor’s major achievements include featuring in the Danish and Moldovian national finals and retaining a top ranking in the WDSF World Dance rankings for the duration of his competitive career. Svetlana began her dancing career at age of seven in her native Moldova, training in both Latin and Ballroom styles. Deciding to specialise in the Latin style she went on to represent Greece where she featured in many major championship finals and was the winner of numerous prestigious national and international championships. Ylenia was born in Bologna-Italy and began dancing at the age of four. From there she began her career as a dancer, studying with elite Italian and international teachers. Ylenia has been a finalist in all major international Latin dance championships such as the open events in Canada, Spain, Russia, Belgium, Slovenia and the Ukraine. Ylenia has also featured in several dance companies for Italian television in Corp de Ballet of “BAILA”. Born in Rome, Italy, Carlo started dancing at the age of 11. 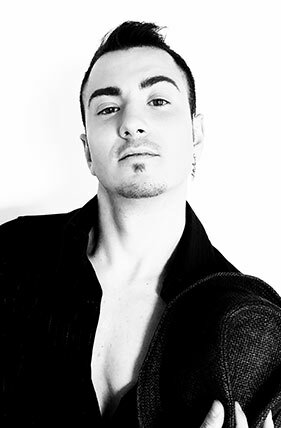 Carlo is a two time Italian Latin American dance champion, and has represented Italy throughout the world. A finalist in many national and international major championships including the UK Rising Star and British Open Championships. Carlo has also worked as a photo model and appeared on "Baila" Italian TV broadcast demonstrating Latin Dance on the SKY TV network. Carlo acknowledges his mentor and teacher, five-time world champion, Riccardo Cocchi, who helped him to develop as a dancer and as a person. Carlo is honoured to join Burn The Floor. 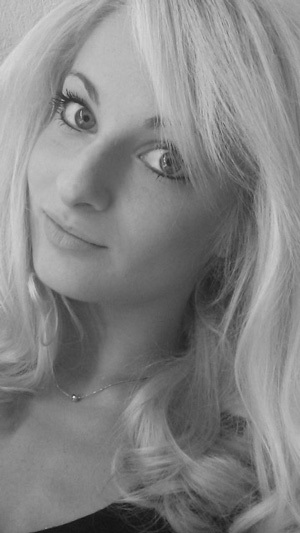 Sylwia started dancing at the age of seven. She was the Polish Junior Latin and 10 dance Champion, Polish Youth and Amateur Latin Champion, finalist in Rising Stars British Open Championships and UK Championships and second in the Central European Latin Championship. Sylwia and her Partner Krystian have represented Poland in all International competitions including the World and European Championships in every age category. Sylwia is featured in the first polish dance movie “Love and Dance”. In 2013 she joined “Burn the Floor” to follow her dream of performing on stage. Krystian started dancing at the age of seven. He was the Polish Youth and Amateur Latin Champion, finalist in Rising Stars British Open Latin championship and the UK Latin Championships and runner up in the Central European Latin Championships. Krystian and his partner Sylwia have represented Poland in all international Dance competitions including the World and European Latin Championships in every age category. 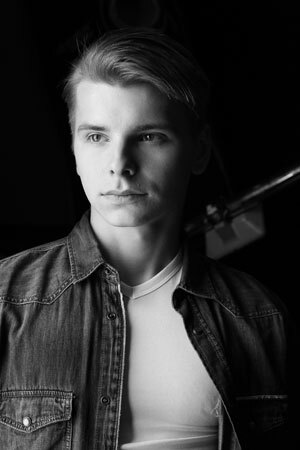 Krystian is featured in the first polish dance movie “Love and Dance”. In 2013 he joined “Burn the Floor” to follow his dream of performing on stage. Giulia has had the success of achieving the title of Vice-Champion and has featured in the finals and semi-finals of the Italian Latin Championships and Rising Stars World Dance Sport Federation Latin Championships. She is honored to join the cast of Burn The Floor. 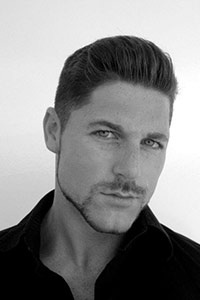 Domenico is a three time Italian Champion in several dance styles, including Jazz, Boogie-Woogie and Rock & Roll. He is also a two time Italian Champion of Acrobatic Rock. 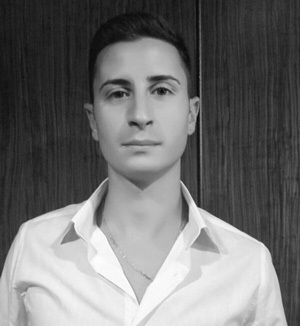 Domenico has appeared as a finalist and semi-­?finalist in all Italian Latin and World Dance Sport Federation Dance Championships as well as being a former Slovakian Latin Champion and representative at the European and World Championships. He is proud to join the cast of Burn The Floor. Christopher began dancing at the age of five. He is a three time Australian National Champion, South Pacific Champion and a finalist in the Singapore Open and Asian Pacific Championships. Christopher has successfully represented both Australia and Iceland at the World and British championships. He was also a professional on the Australian series of Dancing with the Stars. Fabio started playing drums at age of 8 and encouraged by his older brother, started drum lessons with his first teacher Rodolfo Tulli. Studied classic percussion at The Conservatory of Music in L’Aquila, and later in the ‘Universita’ della Musica’ in Rome. Has performed with many wonderful cabaret artists and international singers such as Martha Reeves, Angie Brown and Jaki Graham. Theatre credits include Cinderella, and Aladdin. In 2014 Fabio joined the Norwegian Cruise Line ‘The Getaway’ where he had the privilege to perform with Grammy winner ‘Sugar Blue’, harmonica virtuoso from Chicago and Grammy Award Nominees Carolyn Malachi and Roddie Romero. 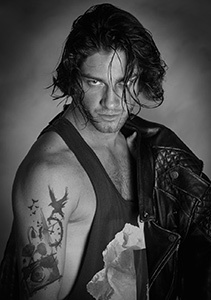 Fabio joined the cast of Burn The Floor on the Norwegian Getaway in 2015 and is honoured to be part of the family. Giulia commenced to dance in her home country of Italy at the age of 4 and began competing at the age of 7, reaching her first Italian Latin Championship finaI by age 11. In 2008, she was a finalist at the prestigious British Junior Open Championships in Blackpool, the International Championship in London and World Latin Championships. As a Youth competitor Giulia was finalist in several international competitions including the Vienna Open and Slovenian Open. 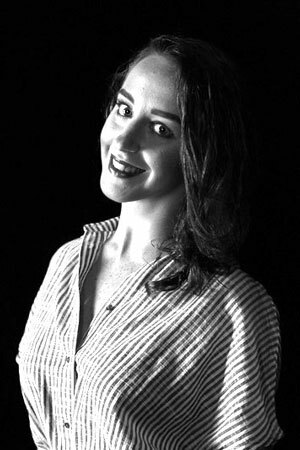 More recently Giulia has undertaken studies in Flamenco and Contemporary dance. Giulia is excited to join the cast of Burn the Floor. 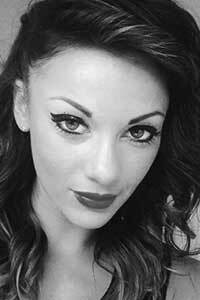 Alessia is from Naples Italy and started dancing at the age of 6, studying Ballroom & Latin American. In the years that followed she also included Classical Ballet and Flamenco to her curriculum. Deciding to concentrate on only one discipline resulted to her winning the World Latin American Title in 2009 with the support of her coach Carolyn Smith. Joined Burn the in 2015. 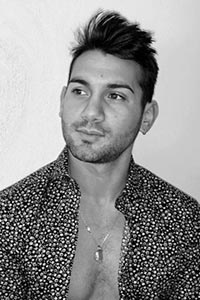 Alberto is the Italian Dance Champion in Solo, Duet and Group Production genres. Representing Italy, is a grand finalist at the European and World Show Dance Championships and is the holder of the prestigious World Show Dance Cup. 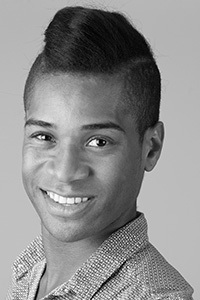 Alberto has global performance experience in Ballet, Modern Jazz, Contemporary, Hip Hop, Caribbean and Ballroom. Alberto also represented Italy in Freestyle Latin at the World Championships in Beijing and Chengdu in China. Alberto was honored to join the cast of Burn the Floor in 2014. Francesco is from Bari in Southern Italy and started to dance from the age of 6 and ultimately became a 3 time Italian Champion. In addition to this he has had success all over the world including achieving finalist status in many World Dance Sport Federation Championships. 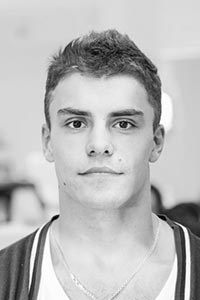 He has also represented other countries in major World titles such as Latvia and France and also has an interest in and studies contemporary dance. Francesco is proud to join the cast of Burn the Floor. 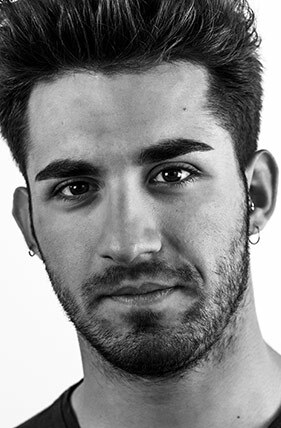 Ruben is from Tarragona, Spain and started dance at the age of seven. As a competitive dancer his finest results include: Spanish Amateur Latin Champion, South European Latin Champion and British Open Amateur Rising Star Latin Finalist. As a coach Ruben has produced many champions including National Champions of Spain and the United States of America. Ruben is thoroughly enjoying his role with the cast of Burn the Floor. Jowita from Poland started dancing at the age of 12, and with her partner Michael became National Champions in 2014, and has had the privilege of representing Poland in many international Ballroom dance championships. Jowita’s television credits include “Polands Got Talent” and “ So You Think You Can Dance”. From these experiences she felt that the stage is her vocation. In 2015 she joined to “Burn The Floor” making her dreams come true. Mikee is from Rome (Italy) and has been a singer from an early age and studied piano from the age of seven and dance from age ten. With extensive experience in tv and theatre he has collaborated with premier Italian singers, performing and songwriting and signing a contract with Sony Columbia Italy. From 2009 to 2011 he performed as the lead singer in the tv show "ITALIAN DANCING WITH THE STARS". In 2011 Mikee was invited to sing at the World Superstars Dance Festival in Japan where he performed his single, Ma Che Ne So. In 2015 Mikee celebrates his 20th career year with a dance single "STAY" and the starting of one of his biggest dreams, joining the music and dance family of "BURN THE FLOOR". Valentina started to dance at the age of 4. She is an Italian Latin American Champion, and a two time World Latin American Championship and German Open Championship finalist. Valentina is proud to join the cast of Burn the Floor. Dario started to dance at the age of 9. He is a two-time Italian Latin American champion, two time finalist at the World and European Latin American Championships. Dario was also finalist of the British Open, Blackpool Under 21 Championships. Dario is proud to join the cast of Burn the Floor. Matteo started to dance when he was 9 years old. His list of achievements include reaching the final of the British Open (Blackpool) Junior Ballroom Championships, winner of the Italian Youth Ten Dance Championship and becoming part of the Italian Team representing his country at the World and European Championships, where he was ranked among the top seven couples in the World. Matteo is proud to be a part of the Burn The Floor dance family. Carlotta started to dance when she was 6 years old. Her list of achievements include winning the Italian Championship, Youth Ten Dance Ballroom Championship and reaching the final of the British Open (Blackpool) Junior Ballroom Championship. Carlotta was a key member of the Italian Team representing her nation at the World and European Championships ranking among the top seven couples in the world. Carlotta is proud to have joined the Burn The Floor dance family. 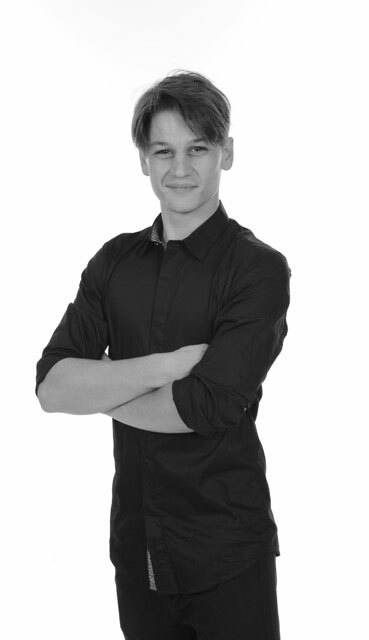 Maciek is originally from Poland and started dance at the age of 5. From that moment dance has been always been his biggest passion. 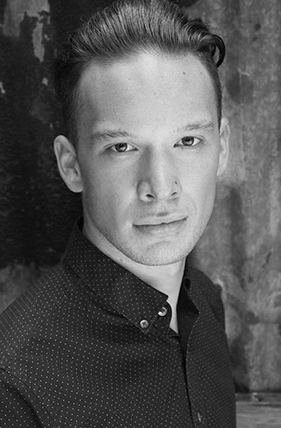 Since 2013 Maciek has been living and dancing for Canada andvis Canada’s Amateur Ten Dance Champion and runner up in the Amateur Ballroom Championship whilst also becoming the Canadian under 21 Ballroom Champion. Giorgio started to dance at the age of 6. Coached by his uncle Marco he has also studied with the foremost coaches in the world. This combination of tuition and dedication led him to become a World Ten Dance Championship Finalist in 2008 and a semifinalist at the World Ballroom Championships in both 2008 & 2015. Giorgio is delighted to become a part of the Burn The Floor family. 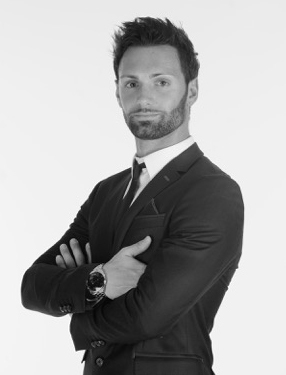 Luca was born in Germany but resides in Rome-Italy and specializes in the Latin American style and is a qualified instructor with MIDAS (Maestri Italiani Danza Sportiva). Competitively Luca has had many victories in both National and International competitions, featuring in the finals of the 2011-2012-2013 Italian Championships and was awarded the bronze medal in the 2014 and 2015 Italian Championships. Luca is very happy to be part of the Burn The Floor dance company. Iaroslava started her dancing career at age 4 in her home country of Russia, training in both Latin and Ballroom styles. 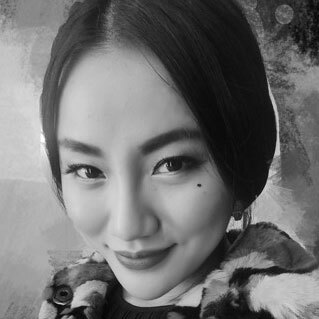 She studied classical ballet at the Conservatory of Music and has a professional degree in "Dance and Choreography" from St.-Petersburg University. She is a winner of many international competitions in Spain, Portugal, Switzerland, Belarus, Russia and Greece. In 2010 she became a National champion in Latin and Ballroom. Iaroslava is proud to join the Burn The Floor dance family in 2015. 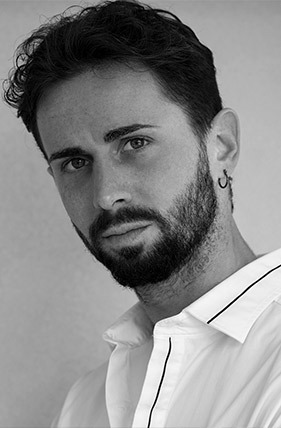 Graziano is from Caltanissetta, Sicily and specializes in the Latin American style. His results include three times regional champion of Sicily, winner of The Dance World Cup in Alcobendas (Spain), winner of the Italian Latin American Championship, Belgian Champion, representing Belgium at the World Championships. 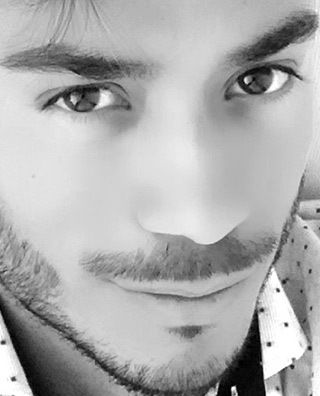 In 2014/15 Graziano appeared as a Latin American dancer in the prestigious Italian television talent show program, "Amici di Maria De Filippi". 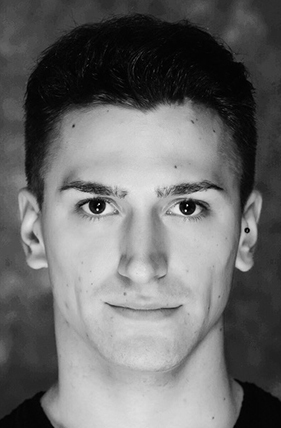 Graziano is proud to join Burn The Floor in 2015. 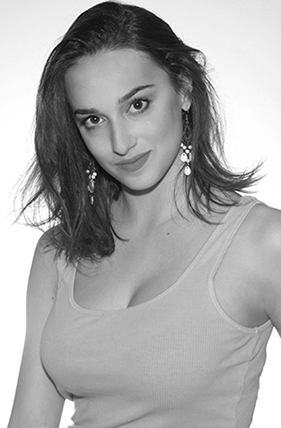 Erica is from Rome and speicalises in the Latin American style with excellent bases modern and classical dance also. Competitively Erica has had many victories in both National and International competitions, featuring in the finals of the 2011-2012-2013 Italian Championships and was awarded the bronze medal in the 2014 and 2015 Italian Championships. Erica is very happy to be part of the Burn The Floor dance company. 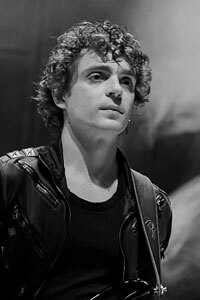 Born in 1986 in Lleida, Barcelona, Jose started playing guitar at the age of 12. He studied classical, flamenco and jazz guitar in ESMUC (Catalonia Superior School of Music). He also plays bass. Since he was 17, he has been working as a live and studio guitarist in many musical projects covering genres such as:, pop-rock, flamenco, classical music and tango. 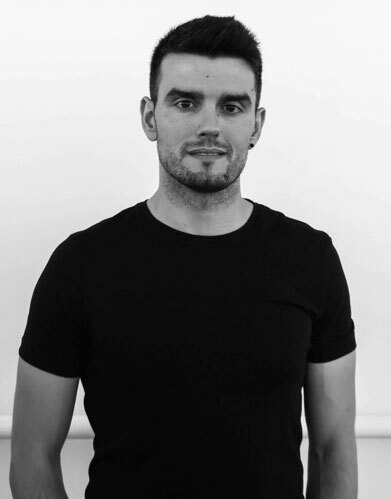 He feels very proud to be part of the interdisciplinary Burn the Floor team and enjoys working closely with this talented group of dancers, creating a vibrant performance which leaves audiences in awe. 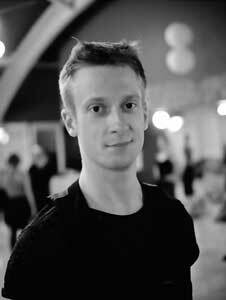 Born and talent nurtured from South Africa, Johannes started dancing at the age of seven. 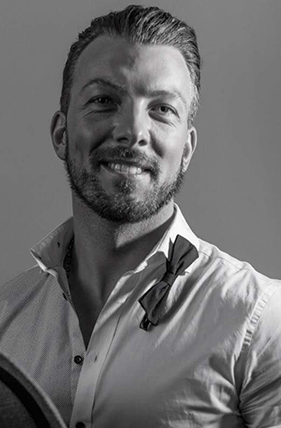 Attracted by the elegance and discipline of Ballroom and Latin American Dancing, he is the current reigning South African National Champion, privileged to represent South Africa internationally and a seasoned dance trainer for the TV production Strictly Come Dancing SA. 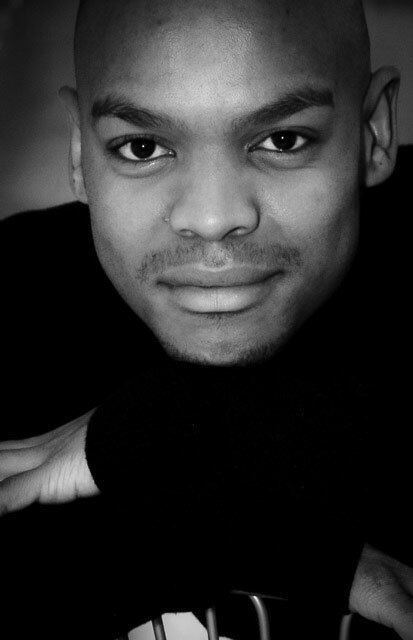 He is a teacher aiming to influence and shape young minds through dance within developing communities in South Africa and is excited to be a family member of Burn The Floor. Performing from age three, Sharnielle developed a passion for the stage. After initial training from Vocal Mastery and Dance Network Australia, Sharnielle further completed a Diploma in Music Theatre with ED5 International. Wowing audiences with performances in the 'Monsters Show', as Bride of Frankenstein at Universal Studios Japan, Sharnielle also enjoyed playing characters Cinderella, Princess Fiona and Marilyn throughout 2015. 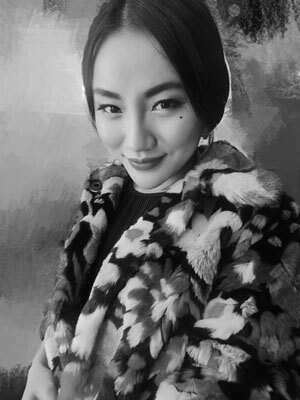 Born in Hunan China, Nancy learned to dance from age 8 and was admitted to the Guangdong Dance School, accelerating her status to a Professional Latin and Ballroom dancer from the age of 11. This initial training led to many successful competitive results including reaching the finals of the 2010 Under 21 Latin International Championships in London, 3rd place at the 2010-2012 CBDF National Amateur Latin Championships, runner up at the 2013 International Singapore Championships Professional Latin. In 2014 Nancy joined the TV show ‘So You Think You Can Dance’ in China, reaching the final top competitors. This experience added the further dance skills of tap, contemporary, jazz and hip-hop to her abilities. 2014 also saw Nancy appear on the Chinese franchise of ‘Dancing With The Stars’. Nancy is happy to have achieved her dream job with the Burn The Floor family in 2015. 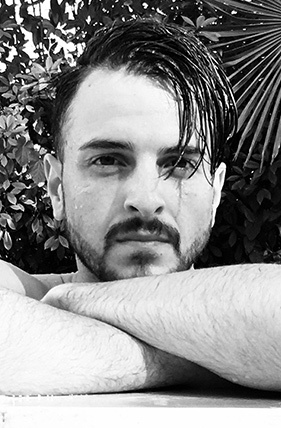 Andrea De Angelis started to dance at the age of 8 in his home city of Rome, Italy. His achievements include becoming the choreographer of the prestigious Italian television talent show program, “Amici di Maria De Filippi”. His many competitive dance championship achievements include 18 times Italian Champion in Ballroom, Latin-American and over all 10 dances, winner of the Dutch Open Under 21 Latin Championships, Danish Amateur Latin American Championships and Israeli Amateur Latin American Championships. Andrea is excited to dance and perform with the Burn the Floor company. Simone is a professional Latin dancer who has studied with the finest teachers and coaches in the world. His achievements include reaching the final of the Italian Professional Championships and International Open as well as reaching the semi-final at the World Show Dance Championships. 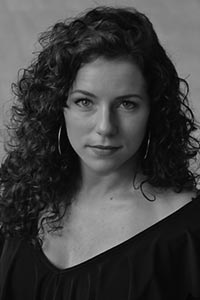 Simone has also studied contemporary dance and performed in iconic theaters in Europe, including Roman and Parisian Opera Houses as well as appearing on various television programs. 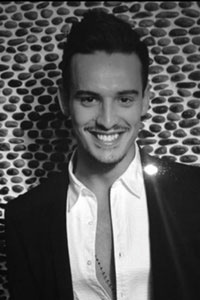 Manuel is from Rome, Italy and started to dance Latin and Ballroom at the age of 8. 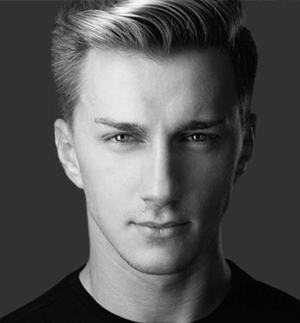 Competitive dance career highlights included reaching the semi-final of the Italian Dance Championships Manuel joined in Burn the Floor in 2016 and is very exited to perform with the company. Moreno started to follow his passion for dance from 13 years of age. He left his home in Sardinia to further his dance career and is now a two times Italian Latin American Champion. He has also been a finalist of many prestigious international competitions and has been trained in many other dance styles and believes "Burn the Floor" is a fantastic opportunity to express artistic dancing. Marta started her dance career at the age of 4. This dedication from such an early age saw her winning 5 Italian Championships and placing 5th at the European and World Championships. Marta has worked with many of the premier Latin American teachers and coaches world wide and joined Burn the Floor in 2015. 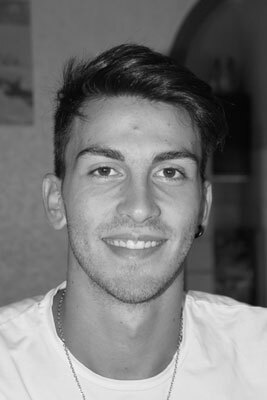 Stefano is from Udine – Italy and specializes in the Latin American dance style with excellent bases of modern and classical dance. From 2002 to 2010 he has won many national and international competitions and achieved the number one ranking in the Junior Italian Championships. Since then he has become a finalist in the Italian Championship Youth and Amateur competitions. Stefano has also represented Hungary on the world competitive scene. Once again excellent results were becoming the nations vice champion and a finalist in several international competitions, including 4th place in the European Cup. Stefano Is very happy to be part of Burn The Floor dance company. 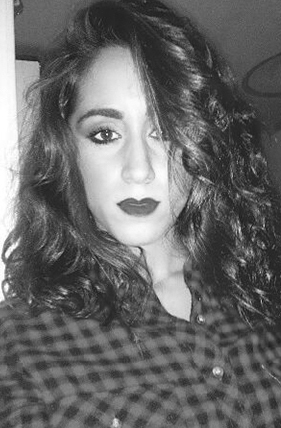 Anna lives in Sardinia - Italy and specializes in Latin American Dance studying this dance style from the age of 12. She became the Italian Youth Champion and finalist in the European Championship in 2012. She represented Italy in the Youth World Championship for two consecutive years. Anna is very happy to be part of the Burn the Floor dance company. worked with many of the premier Latin American teachers and coaches world wide and joined Burn the Floor in 2015. Marco has spent his life studying the Latin American Dance form. He is 3 times Italian Champion, South European Latin Champion, Finalist in European Championships and 3rd in World Latin Championships.Television credits include 2013 the Italian TV show "Dancing with the Stars" in the role of Dancer for a Night. 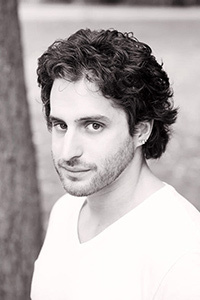 Marco joined Burn the Floor in 2016. Katerina was born in Greece and raised in a musical environment. She discovered dance at the age of 7 with Latin and Ballroom dancing, continuing later with ballet and contemporary. At the age of 9 she also showed interest in rhythmic gymnastics becoming the Vice Champion of Greece. Since 2012 Katerina has resided in many countries, such as Italy and Ukraine to pursue her dance career at a higher level, finally settling in Spain. With this experience, she was rewarded with reaching the Word Youth Latin Championship final. 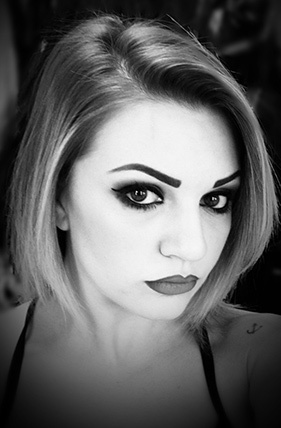 Katerina also enjoys teaching dance, working in dance studios in Greece and Spain, taking workshops, choreographing and performing in events around the world. 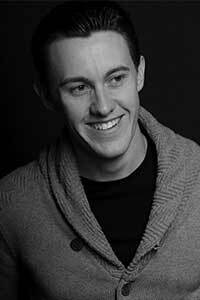 Caleb is a singer and theatre entertainer most notably seen on screens across Australia and New Zealand in the television phenomenon ‘The Voice’ reaching the Top 8, mentored by Australia's Delta Goodrem. 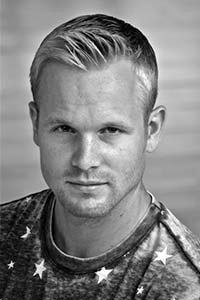 With strong roots in theatre, Caleb has enjoyed lead roles in ‘Hairspray’, ‘Little Shop of Horrors’, ‘High Fidelity’, New Zealand original musical ‘Nineteen-Thirty-One’ and recently toured Europe and the Caribbean, whacking on heels and a glitterlip as Felicia in ‘Priscilla Queen of the Desert’ the musical on board the Norwegian Epic. He was also recently invited to tour his homeland of New Zealand with The Ten Tenors in their sellout ‘Power of Ten’. With a palette of quirks and playful voices, Caleb is no stranger to children's theatre stages with performances in ‘Snow White’, ‘Pirate Blue’ and the ‘Panto-Loons’ a pantomime and extensive touring in Australia and Asia with ‘Peppa Pig Treasure Hunt! Live’. TV appearances include Australia’s Channel Nine's ‘Morning’ and ‘Today’ shows and a headline performance at ‘Coca Cola Christmas in the Park’, New Zealand's nationally televised ‘Carol Spectacular’. Excited about nurturing young talent, Caleb mentored young artists in performance for CreationFest (New Zealand) and TakeTheMic (Melbourne), sharing and growing his own love for performance art. Caleb has recently been starring in the return season of ‘Hidden Sydney’ as a Les Girl and Lying Loretta, presented by Live Ideas/Working Management and Vivid Sydney. 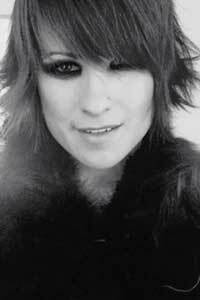 Daniele was born in Rome on March 20th 1989. He began to dance at six years old and from the beginning he knew that dancing would be the main aim of his life. He studied with Italian and International teachers, and obtained great results in ballroom and latin, conquering many finals in the Italian championships and international competitions. He joined the Bulgarian national team and won the Bulgarian national championship and competed in the European and World championships. 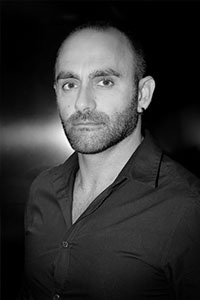 Television credits include “Mattino in Famiglia” and “Baila”, and as a choreographer for a Spanish movie “La Dama Velata” and for an Italian fiction “Il Nome Della Rosa”. Daniele is very excited for this new experience with Burn the Floor. Gerrie started dancing at the age of 9, becoming the winner of various South African dance titles in Modern, Contemporary, Jazz and Latin and Ballroom. Gerrie had the privilege of representing South Africa at many international events including: The World Freestyle Championships, British Open - Blackpool Dance Festival (England) and the World Latin Championships (Paris). Other dance achievements include winning the South African Latin Championships, reaching the final of “So You Think You Can Dance” South Africa Season 2 and appearing as a guest dancer on TV shows such as “Idols” (SA) and “Strictly Come Dancing” (SA). Gerrie absolutely loves being part of both Rock of Ages and Burn the Floor on the NCL Breakaway, sharing the stage with so many talented people. Born in Rome, Italy, Martina started her dancing career at the age of 7 thanks to the passion of her parents, teaching with them in their dance school. Martina started competing both in Ballroom and Latin dance styles and became the Italian “10 dance champion” in Junior and Youth categories. She has continued to represent Italy in many Championship finals including The Spanish Championships and the Bassano Open. 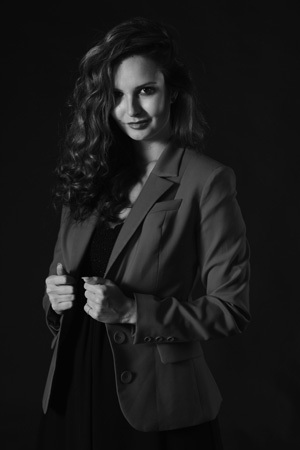 Martina has also embraced the opportunity to work in USA with an American Dance Company performing in various productions as a principal performer. TV appearances include shows such as “Domenica Live”, “Miss Italia” , “Uno Mattina in Famiglia” , “alle falde del Kilimangiaro” and the movie “Trilussa”. Martina is a foreign languages and translation graduate but dancing has always been her first love. 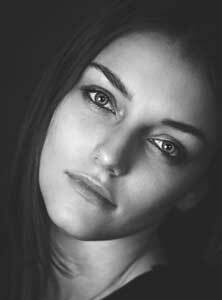 Alexandra was born in St. Petersburg, Russia on November 10th, 1993 in a family of a Professor of Law and a Mathematician. She started dancing at the age of 3, with various forms of dance including ballroom, jazz, ballet and rhythmic gymnastics. Having committed entirely to ballroom she became the winner of a number of major international world ranked competitions. In particular, she was a finalist of the National, European and World Championships in the International Latin style and was a finalist of the esteemed Blackpool Dance Festival – British Open Junior Ballroom Championships. Alexandra obtained a Bachelor’s Degree in Sports Psychology and Sports Education at the Lesgaft National State University of Physical Education, Sport and Health (St. Petersburg, Russia), which is recognized to be the leading sports university in Russia. Lily is one of seven children who was born and raised on the island Tasmania, Australia. She was 9 years old the first time she took to the dance floor at a local competition and from that moment, her desire to dance became all consuming. Lily has been trained by her step-father at their family’s ballroom dancing studio where she now also trains some of Australia’s top up and coming juvenile couples. Currently ranked as the Closed Australian Latin American Youth Champion, Lily has also competed internationally becoming the New Zealand Youth Champion. Lily has a passion for the world’s environment. Through her education, where she has been a school executive leader and an honours student, she has developed a strong passion to advocate for animal welfare and conserving our environment. 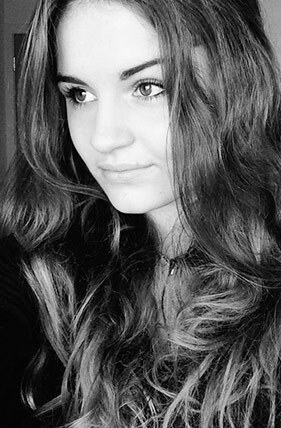 Born in Lithuania Mege started to dance at the age of 5. Training in both Latin and Ballroom dance styles, she is the winner and finalist of many national and international competitions. Mege has completed a Bachelor of Dance at the Klaipeda University. Mege is full of enthusiasm and energy to share her passion with others and very excited to join the team of Burn the Floor. Ivan started to dance at 5 years of age in Moscow. His first serious success was in reaching the final of the British Juvenile Standard Championship in Blackpool. Through all his career he was competing in the 10 championship dances. 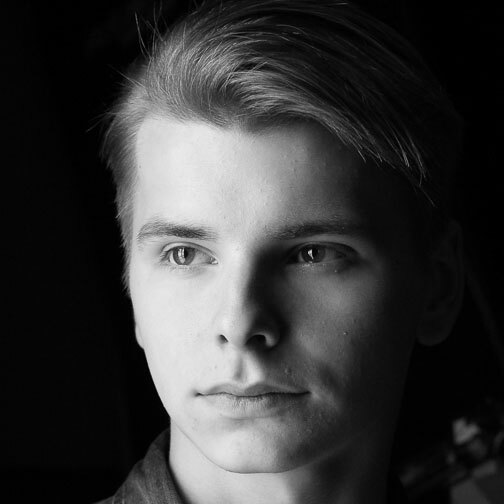 Ivan was finalist of many World DanceSport Federation competitions and at the age of 19 started to live in and represent Lithuania. By this time, he had become the Lithuanian 10 Dance Under-21 Champion and received a Bachelor of Sports Diploma from the Lithuanian Sports University. Ivan is very excited to join Burn the Floor. Kevin is from Terrassa, Spain, starting to dance from the age of eight. Learing socially at first before moving in to the world of competitive dance. Taking a break from the dance championship world, saw him undetake a degree in Physeical Theatre at the prestigious School of Drama in Barcelona. Kevin has always aspired to do things he loves. He loves dancing and acting and wished to combine and interpret both of the passions for audiences all over the world. Kevin has found the perfect médium for this in Burn The Floor! 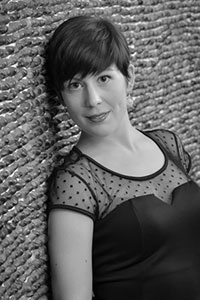 Alex, started her dance career at the young age of 6 in Cologne, Germany, where she studied all forms of dance but ultimately decided to pursue Ballroom and Latin dancing professionally. After moving to Melbourne, Australia at the age of 14 she found her success on a National and International level, becoming Australian Ten Dance Champion finalist in multiple Asian and European competitions in both Ballroom and Latin American. Following her passion for performing she decided to pursue a career in performance and productions ultimately becoming part of the Burn the Floor company in 2017. Mitch has been dancing since the age of 10, competing in both Standard Ballroom and Latin American dance since the age of 12. In 2015, he won multiple Australian National Titles including the Under 21 Standard at the Australian Dancesport Championships in Melbourne. In 2016, Mitch moved to Aarhus, Denmark to further his dance training and fell in love with Scandinavia. He hopes to return one day to pursue his entrepreneurial dreams. Whilst most of his accomplishments came from the Standard Ballroom style of dance, his favourite dance is the Samba. Mitch is very excited to be a part of Burn the Floor. Simone was born in Italy and started dancing at the age of 4, working his way to reach a top level in Latin American Dance. A Grand Finalist in major competitions like the Junior International Latin Championship, British Open Junior Dance Festival and the Universal Championships in England. He is a former World Show Dance Latin Champion 2016 in Chengdu (China), twice Vice World Show Dance Latin Champion 2013 and 2015 in Beijing, received the Bronze medal at the World Show Dance Latin Championship 2014 in Chengdu and the Silver and Bronze medals at the WDC World Championship in Latin American. During is dance career he has won 8 Italian Championships and has been a professional guest for the hit shows ‘Strictly Come Dancing’ and ‘Dancing with the Stars’ in Vietnam. Simone also has skills in classical ballet, modern and contemporary dance styles for which ‘Burn the Floor’ provides the perfect outlet for him to showcase this fusion of dance styles. Hannah was born in Northern Queensland, Australia. She started dancing from the age of 7 in Ballet, Ballroom and Latin Styles. Her passion has always been Latin American, and she made the decision to specialise in this style at the age of 16. Since then Hannah’s professional dance career has taken her all over the globe and she has trained with some of the world’s most renown coaches, as a competitor Hannah reached 5 times Australian State Champion, 3 times Australian Open Latin Champion and 2 times Australian National Champion. 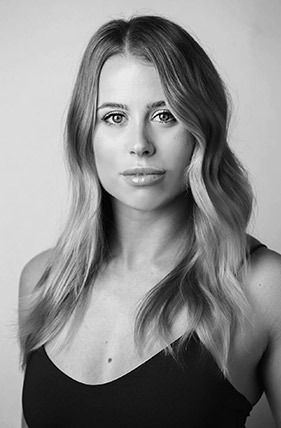 Hannah has competed and represented Australia in some of the world’s most prestigious events, including the IDSF World Dancesport Championships in Germany, Blackpool Dance Festival in England, WDC Asian Tour..
Off the floor Hannah is a qualified Personal Trainer and has a passion for health and fitness. She is excited to join the cast of Burn the Floor, and continue her journey, travelling, dancing and experiencing everything the world has to offer. Born and raised in a musician’s family from Barcelona, Eugeni started studying music at the age of 12, firstly with several private teachers, then at the Badalona Modern Music School and Rock School Mataró, where he later became a guitar teacher himself. He has recorded seven studio albums and played in a several cover bands in Spain playing a variety of music. 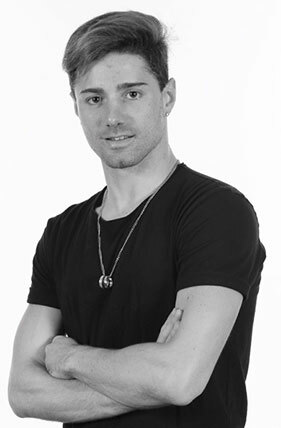 Eugeni has been part of the ‘Burn the Floor’ family since September 2016 joining the NCL Breakaway and Epic Bands performing in both ‘Burn the Floor’ and ‘Rock of Ages’.